After over 10 years of slinging their Texas-sized psychedelic blues doom, Dallas-based Wo Fat is going stronger and rocking harder than ever, promising to continue on their swampadelic visionquest of overdriven, fuzz-laden riffage and jazz-minded jam explorations with the next chapter, entitled Midnight Cometh, looming on the horizon. For the release of Midnight Cometh, the newest slab of riffage lurking in your future, which is easily their most daring psychotropic exploration of heaviness to date, Wo Fat has teamed up with a label on the rise, Ripple Records, who have proven themselves to be Brothers in the Riff by peddling some of the finest of the new fuzz. 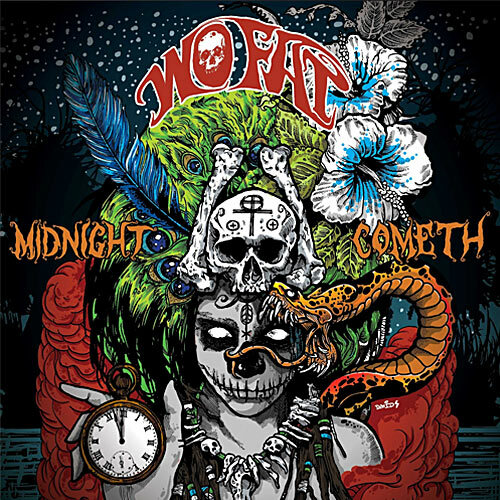 With voodoo drums beating and endless waves of molten, blues-drenched guitar riffery, Wo Fat carries on their tradition of keeping things heavy and fuzzy, but also groovy, which all too often is the missing element in so much modern heavy music. You can hear the echoes of field hollers and that oft forgotten “way back yonder funk” fueling the fire burning deep in the swamp at the witching hour. You can feel the rush of living on the edge and glimpse a phantasmal Coltrane in your peripheral vision while they careen through improvisational jams. And all this with an unrelenting metal heaviness that underscores apocalyptic lyrics that conjure visions of the end of an age, (our age? ), black midnight bargains, summoned demons, the unquenchable cravings of avarice, ill-fated alliances and the consequences reaped. Midnight Cometh is slated for release Spring 2016 and will be supported by a European tour with appearances at Hellfest, Desertfest Berlin and Desertfest London.